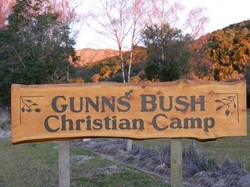 Situated 50km south of Timaru and 10 minutes from Waimate, Gunns Bush Camp, nestled in 140 hectares of beautiful New Zealand forest, is ideally suited for schools, church groups, clubs, corporations for team building to families who want to simply "get away from it all". This is also a unique location for the celebrating of special occasions including weddings and birthdays. Owners Brian and Margaret Rowe live on site and look forward to welcoming guests to their special place in the world. 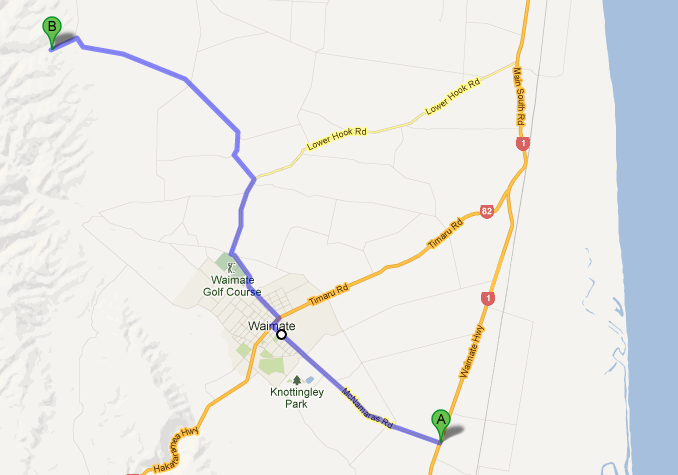 Travelling south on State Highway One, at Makikihi turn right and follow signs. 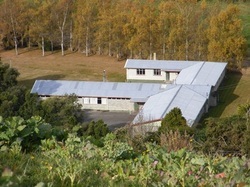 The camp has an abundance of grass fields for use in tenting and outdoor activities; enjoy the diversity this region has to offer with a two hour loop DOC track (at the back of the camp) taking walkers up the valley where you will find lovely specimens of native bush, including very old Totara trees. Moss hanging from the trees gives the walkway a magical fairlyland look. Bellbirds, fantails, wax-eyes, woodpigeon and tui are easily spotted, and during early evening walks wallabies may be seen. For those requiring a challenge Mt Studholme walkway starts/end just a short walking distance from the camp, this full day trek rewards walkers with amazing 360 degree views at the top. Gunn’s Bush camp is the ideal venue for special occasions with more and more people opting to hire the camp for weddings with guests staying overnight. Personalised weddings can be conducted in a secluded native bush setting, while the main hall can be decorated befitting the occasion with seating for upto 120 people. The complex is all under one roof and has disabled access to the buildings and facilities. 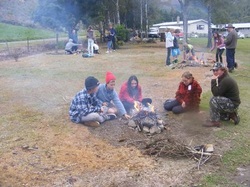 · Pillow, sleeping bag, blankets etc. · Rubbish to be taken away or a charge will apply. 36 Gunns Bush Road, RD8, WAIMATE 7978.